An update to the Google app hit the beta channel yesterday and it brings back the Notification toggles for Assistant devices that had briefly appeared a few months ago. Also in tow are some visual tweaks and a revised list of the types of devices certain Assistant features work with. A teardown also turns up new commute settings, a few bits about getting your kids set up with Google Assistant and Home, and a pretty cool feature for the newly announced Pixel Buds. 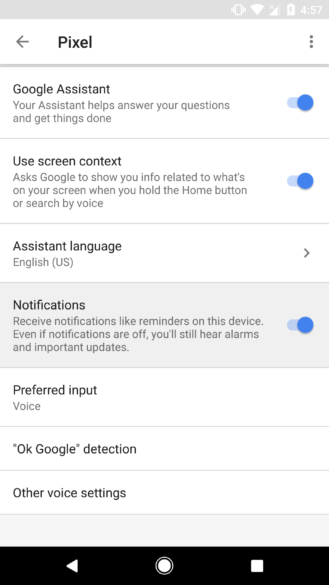 Back in April, switches titled "Notifications" appeared on some of the Google Assistant configuration screens with the Google v7.0 update. They were removed with a subsequent update, but strangely stayed absent since then. With the latest release, they are finally back and probably here to stay. 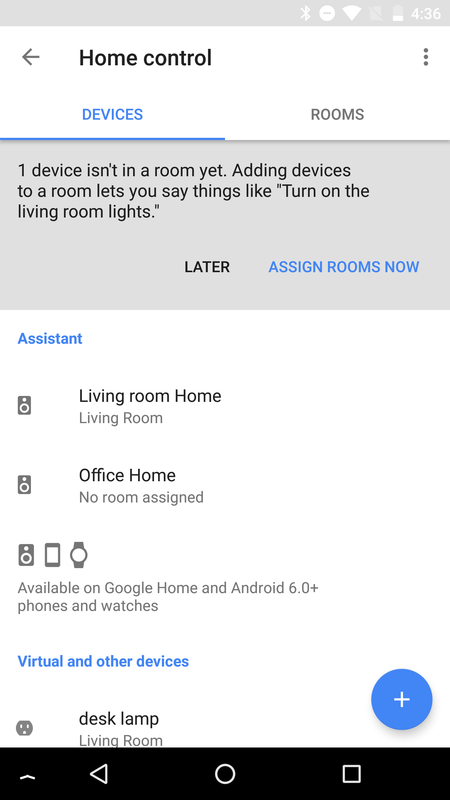 Thanks to the launch of Reminders on Google Home, it's finally important to have control over certain notifications on Assistant-based devices. At least that's what this setting seems to control. These screens can be found by going into the Assistant settings in the Google app (though, there are other ways to get there), and then opening eligible items in the Devices section. 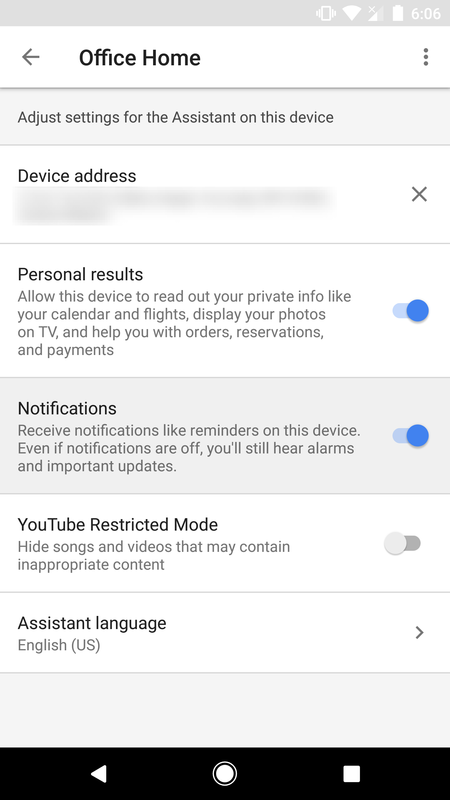 As far as I can tell, Android TV isn't eligible, but phones and Google Home are. This one is really more of novelty detail, but it's worth noting that Assistant's feature screens now list more supported device types. As the screenshots above show, the list went from just speakers, phones, and watches to also include laptops and televisions–obviously related to the recent addition of Android TV and the upcoming addition of Chromebooks. It seems like just yesterday–or a week ago–that Google Maps briefly revealed its upcoming commuting feature. Now the Google app appears to be upping its involvement in commuting. A new layout for a configuration screen has been added with a pair of options to allow users to choose their mode of transportation. It lines up closely with Google Maps, minus the choice to pick a motorcycle, but it lacks the scheduling options that make the implementation in Maps so interesting. <string name="assistant_settings_commute_travel_mode_header">How do you get to work most days? 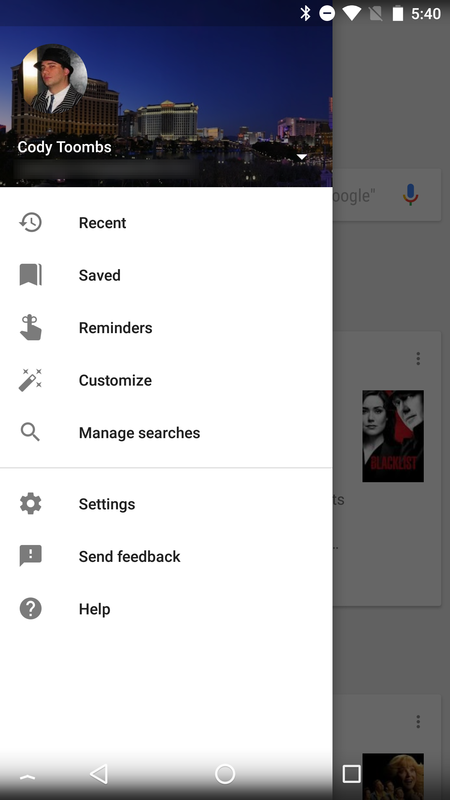 <string name="assistant_settings_other_travel_mode_header">How do you usually get around? The one thing that distinguishes this from Google Maps is that it acknowledges some people may use one form of transportation for work and something else for their other needs. This is pretty common with people that live in close proximity to the businesses they need, like grocery stores, making it practical to walk or ride a bike; but they might work further away, making a car more practical. Google has always been pretty focused on learning your day-to-day routines, so it's likely that scheduling will happen naturally. I would expect that Google will ask you to set your modes of transportation so it can more easily identify which types of interruptions are likely to affect you. 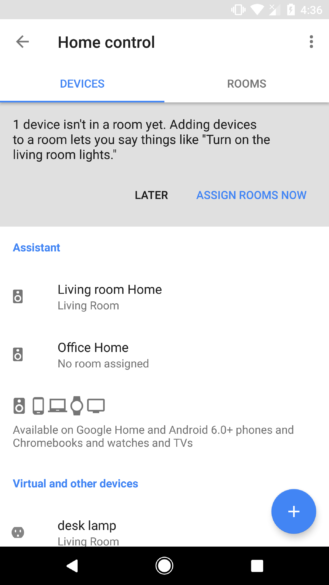 Earlier this year, Google Home gained the ability to differentiate between voices and perform actions using more than one account. During today's presentation, Google announced that it would be expanding that capability to be aware of children. There are plenty of details, but there was never a direct comment about whether children would have their own accounts or if their voice patterns would be used. Not that these weren't fairly obvious, but a few of the lines below serve as confirmation that a child's Google account can be added and matched with a voice pattern. 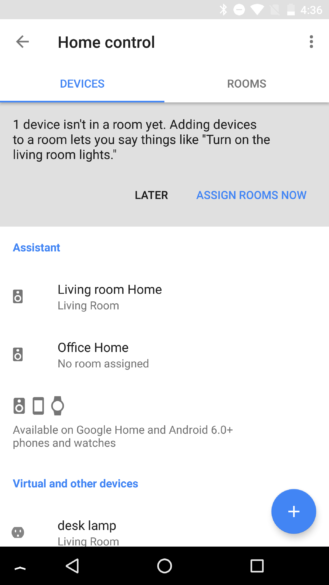 The usual warnings are given in relation to children and an adult will have to be there to give consent, but otherwise the process looks pretty similar to adding any regular user to Google Home. Probably the only marginally-kept secret of the event was a second pair of Assistant-enabled Bluetooth headphones, or rather, earbuds. It's not that anybody doubted there would be earbuds at some point, only that the full-size headphones were a sure thing. Now that the Pixel Buds are public, there is one feature that didn't get mentioned that does set them apart from most wireless earbuds on the market: They can detect if they're still in your ears. The feature is actually titled "Smart detection," which may not be the best name, but the description makes it clear that they will pause music when a bud comes out of your ear. I don't know about anybody else, but that one feature is a big selling point to me. If there's some reason I need to pay attention to something else, I'd much rather pull the earphones out than hunt for a button to pause my music or a podcast.